Home About Universe Astronomy Astronomy Picture of The Day Beginners Gallery Info Infographics Missions Planets Scientists Search for life Space Exploration Technology Videos How Long Humans Can Survive On Each Planet In Our Solar System Without a Space Suit? 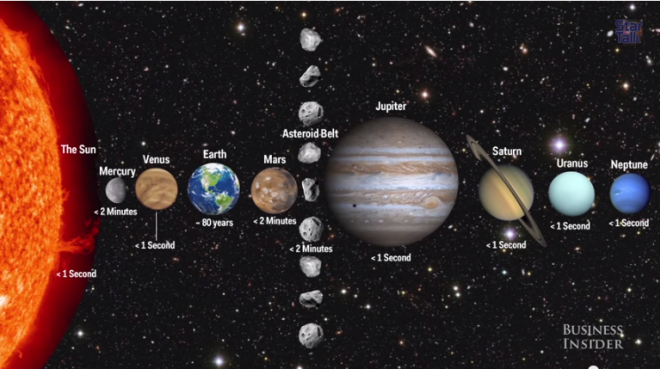 How Long Humans Can Survive On Each Planet In Our Solar System Without a Space Suit? In the video below, Neil deGrasse Tyson explains precisely how long it would take you to meet your end on the other planets in our own solar system if you had no space suit. You might ponder that your demise would be completely sudden, but this isn’t really the case. There are some places in our solar system that you could survive, well, for a short period of time anyhow. Learn more in the video below.